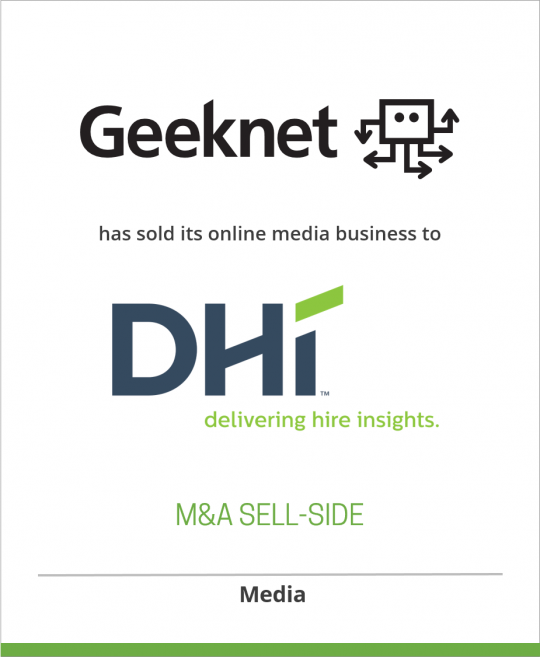 DeSilva+Phillips client Geeknet, Inc. has sold its online media business, including Slashdot and SourceForge, to Dice Holdings, Inc.(nka: DHI Group, Inc.), a leading provider of specialized career websites. Slashdot, a user-generated news, analysis, peer question and professional insight community. Tech professionals moderate the site which averages more than 5,300 comments daily and 3.7 million unique visitors each month. SourceForge, a destination for technology professionals and enthusiasts to develop, download, review and publish open source software, much of which they use in their own organizations. Approximately 80 percent of its roughly 40 million monthly unique visitors are outside the U.S.
Freecode, one of the largest indexes of Linux, Unix and cross-platform software, as well as mobile applications generates nearly 500,000 unique visitors each month. The acquisition builds on Dice.com’s rich history in providing the best content to help technology professionals succeed in their careers and reinforces the company’s commitment to deliver unique and valuable information to foster engagement in each of its communities. Dice Holdings acquired the business for $20 million in cash. In 2011, the online media properties generated $20 million in Revenues. Dice Holdings, Inc. (NYSE: DHX) is a leading provider of specialized websites for professional communities, including technology and engineering, financial services, energy, healthcare, and security clearance. Our mission is to help our customers source and hire the most qualified professionals in select and highly skilled occupations, and to help those professionals find the best job opportunities in their respective fields and further their careers. For more than 20 years, we have built our company by providing our customers with quick and easy access to high-quality, unique professional communities and offering those communities access to highly relevant career opportunities and information. Today, we serve multiple markets primarily in North America, Europe, the Middle East, Asia and Australia.